Angel Phantom Quartz is used with the Third Eye and Crown Chakras. It is said that it enables you to gain a stronger connection to the Angelic realm as well as communication with your own Guardian Angel. 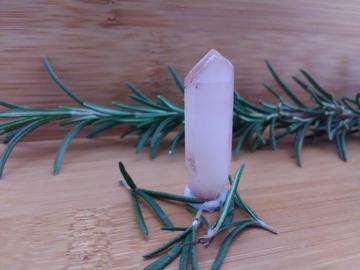 This protective stone increases our awareness of the spiritual realm, past-life recall and lucid dreaming. The inclusions offer added benefits - the grounding of Hematite, the protection against psychic attack of Limonite, and the intuition-building of Kaolinite - combining to form a crystal that is a must in order to be a step closer to Universal love.